Produced in Lake Winnipeg, Manitoba, Canada, Crown Royal has been a popular whisky since the 1940s. In 1939, King George VI and Queen Elizabeth visited the country and Seagram president Samuel Bronfman introduced Crown Royal as a tribute to the monarch and his wife. Until 1964, the whisky was only available in Canada. With annual sales of more than $500 million, the whisky is a traditional gift, and many collect the purple cloth bag in which it comes to make apparel and home decor. Recently I attended a bridal shower, and the host had a unique idea. Since the bride- and groom-to-be already had everything they needed for the home, each guest brought a bottle to be served at the wedding. The hitch? We had to decorate the bottle and be judged. I didn’t win, but I wanted to share my project, which was actually quite easy to make. Bonus for me – the primary wedding color is purple. The cap was actually a bit too big for the torso, so I had to cut her in the back. I needed more width for her to fit on the bottle’s top, so I cut a gap in the back. Next I banded the cloth bag over the cap to determine just how much I needed to cut. 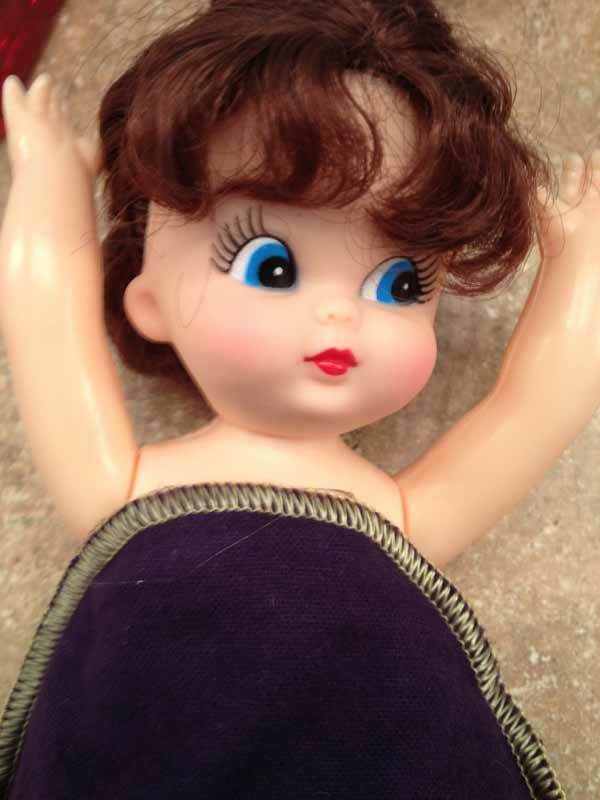 I cut the cloth within the gold seam, just wide enough to fit over the doll’s chest. Be sure to use a good pair of sharp scissors so you don’t fray the fabric. I used hot glue to attach the seam to the doll. 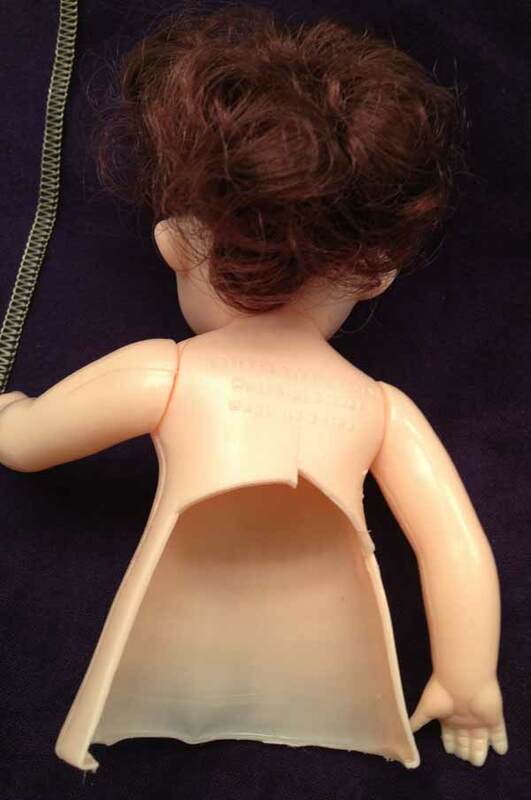 This was a total fail because the plastic of the doll would not hold the glue. Seeing as I can’t really sew, I opted to tighten the bag around her, and glue the bag itself together on her sides and back. I also made sure to glue along the entire cut lines to prevent fraying. 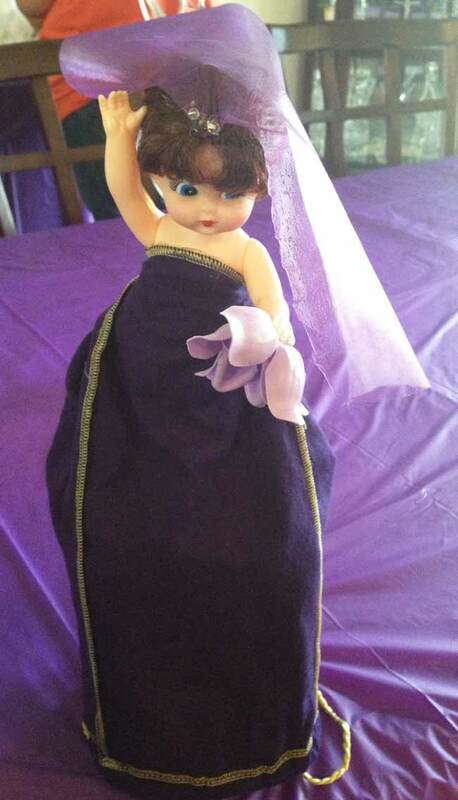 Seeing as the doll’s plastic would not accept hot glue, I aligned the dress around her before tightening it and gluing the fabric together on the sides and back. She still had a little difficulty sitting on the bottle’s top, so I molded aluminum foil around it, and used double-sided tape to hold her to it. This way the bride could easily be lifted off the bottle, and later be set back atop it. For the final touch, I glued lavender soap petals to one hand to act as a mock bouquet, and used tulle and crystal beads for the veil. The bride can be lifted off the bottle, then replaced once it’s empty. 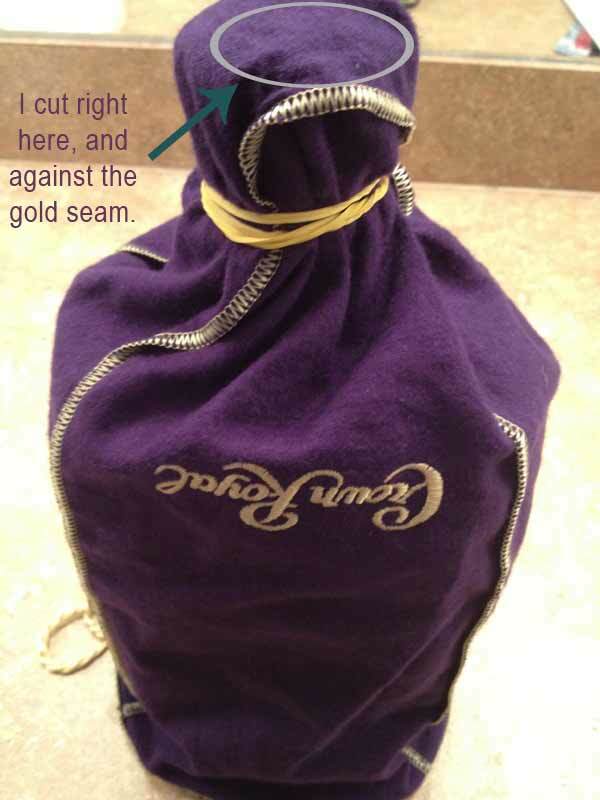 Of course, I’m not the first to craft using a Crown Royal bag. People have been making clothes, quilts and unique decor items for years. Check out this Pinterest Board: Crown Royal crafts. And if you just want to give a personalized bottle, Crown Royal sells bags with custom messages.